Buy Managed ISP web caching server hosting rental low price in india with cachebox web application softwares, speed up internet, unlimited banwidth, affordable price. Want to run your ISP (internet service provider) organization in profits?? No need to worry!!! Go on with our high-end ISP caching software appliance which saves more than 30% of your bandwidth usage. Here we are providing the Managed ISP caching appliance server hosting for rental at low affordable price with no extra investments, ISP Caching Server for free caching server management and monitoring, 60 days POC and easy returns. We offer our customers with high end unlimited storage ISP caching server infrastructure for rental that is developed with best enterprise hardware and software technologies. Our hosted rental caching servers deliver an affordable, industry standard platform that helps to tackle and get rid of the most demanding and unlimited storage memory workloads. We provide quality proactive caching server management and monitoring, web hosting support at free of cost for your rented ISP caching server. No extra or hidden charges. We have an advanced technical team who look after all the caching server activities such as application management, backup management, storage administration, error free app installations and high-end security. We provide all our customers with 60days of POC on ISP caching server rental. It implies that you can host your server at no charge for the first 60 days and after that if the client is satisfied with the services, they can continue and if not, in such cases, first we try to convince them by clearing their queries and if it does not work out, we leave off the decision to the client itself. We believe that the customer satisfaction is the key to success. Therefore we stand behind all the rental servers provided at our site. If you receive a service that is not as per the mentioned specifications ordered by you i.e., bandwidth limits, server specifications, security measures etc., no worries. We assure you with return guarantee for all the equipment provided for sure without any restrictions. In need of a cheap caching server rather than setting up a unit for your own. caching server hosting helps in saving the expenditure, maintenance, updating large computing data. Similarly you can use the caching server service provided by us, which is more reliable and low price. We look forward to hearing from you! Our friendly technical Support Team is available to help you 24/7 via email, live chat, telephone and ticket raising system etc. on your domain related and hosting related issues, queries as well as doubts. Once an issue or query is raise from the customer side, we will surely provide the resolution within very less time without fail. 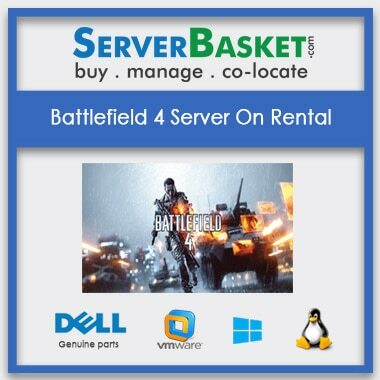 I am very happy to take rent from this server basket website with less investment for my start-up organisation. 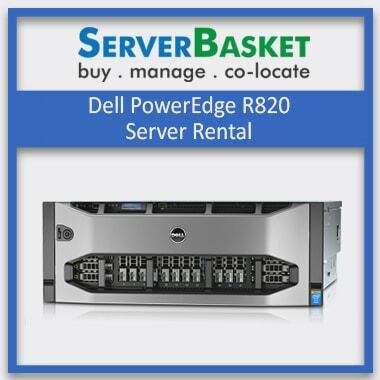 I am an old customer bought dell server and now ISP caching server for rent with great offers all over India. Good support technical team present with server basket website where recently I faced a small problem then they resolved by online chat. 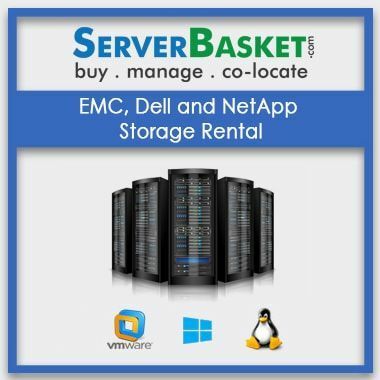 Do you offer a EMC, Dell, NetApp server on rent with high end infrastructure? We provide the server with high-end infrastructure with high performance and it is easily updated without any extra investment. Is there any terms and conditions to rent a server? There are no terms and conditions on rent a server. If I rent a server then can I upgrade the configuration of the server? Yes, we provide configuration of the server to upgrade as per the customer requirement. Do you provide EMC, Dell, NetApp server with fully tested and certified on rental? We provide the server by tested and certified by our technicians and we provide the server on rental to the user. Is renting a server is better than buying a new server for a new organization? As you are start-up organization I would suggest you go for rental as it helps on investing less amount. 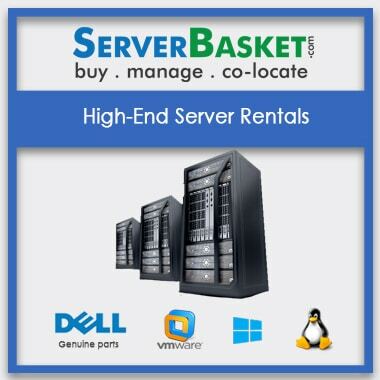 What type of server will suits for medium or large company on rental on investing less cost? 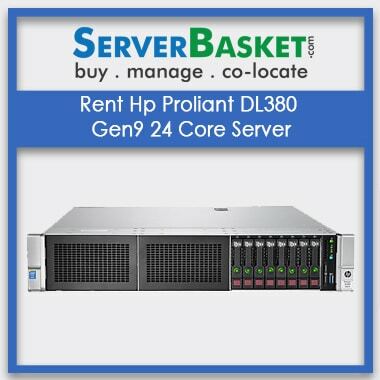 IBM, DELL, and HP servers will suit for medium or large company by investing fewer amounts on rental. How long Does the application process take to rent a server? How do I get started in renting my server?